18ct white gold diamond engagement ring from the 1930’s. Product code: R535 Categories: Sold Items, Sold Rings. Simply stunning! 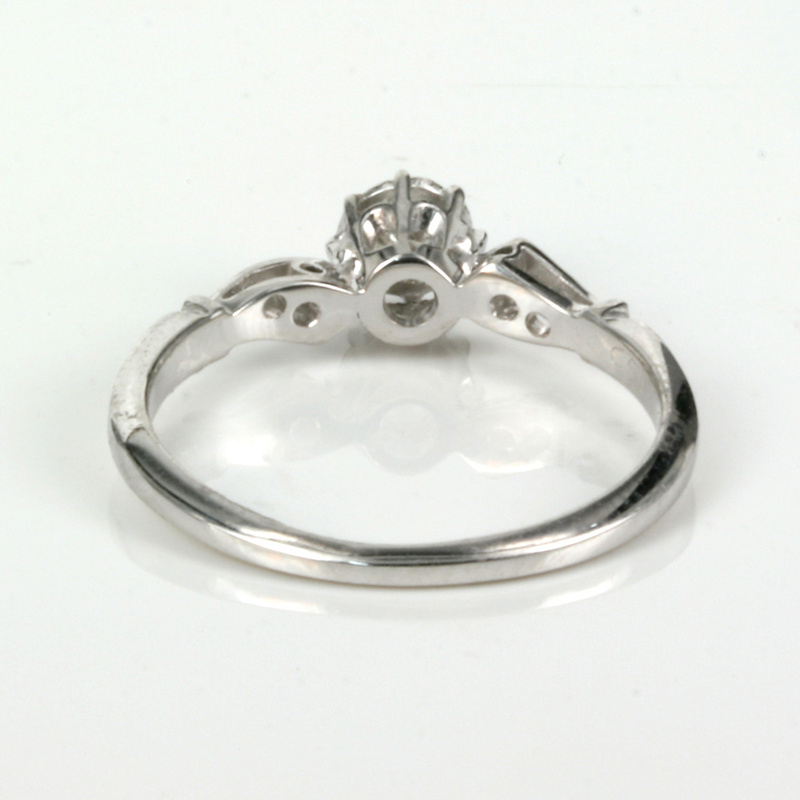 Here is a perfect antique diamond engagement ring beautifully hand made in 18ct white gold in the 1930’s. With a lovely diamond in the centre, there are also two diamonds set on each side into such an elegant setting that adds not only that extra sparkle, but that extra charm and character as well. The centre diamond measures0.22 carats and is G in colour and VS in clarity and has a wonderful sparkle to it. 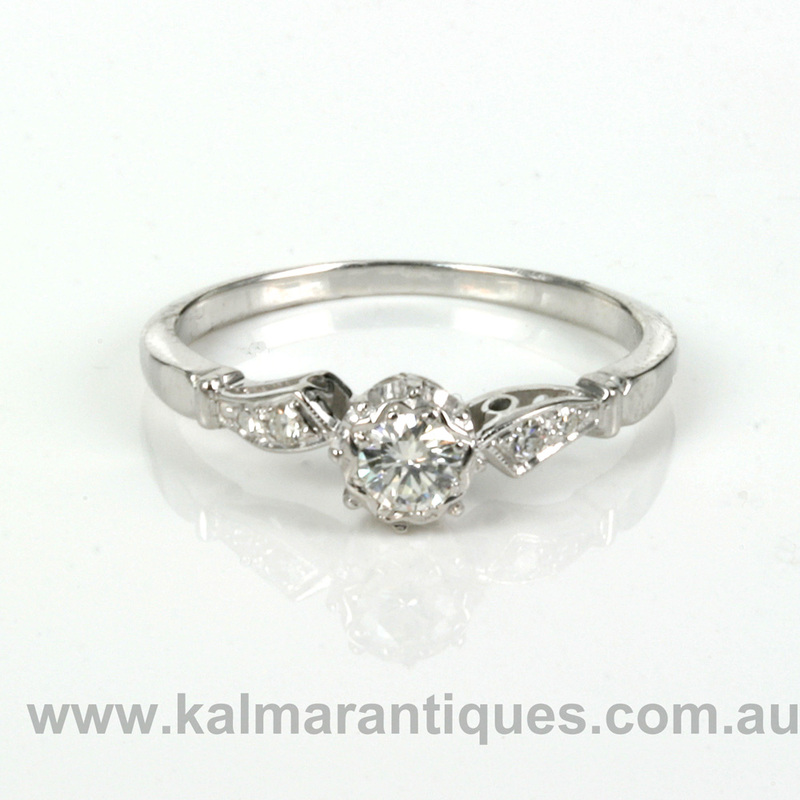 The four diamonds glisten beautifully and total 0.02 carats and lead down to the half round band. At the centre, the ring measures 5.4mm wide and this vintage diamond engagement ring sits just so perfectly on the finger. There is nothing quite like the charm and character from a genuine diamond engagement ring from the Art Deco period, and this one is just delightful.